Support our work - 1526628916s Webseite! "Those who are the happiest are those who do the most for others"
We accept bank transfer in IDR and USD, each with a different account number. If you are in Indonesia and transferring from an Indonesian bank account, please transfer using our Rupiah account. If you are outside of Indonesia, please transfer using USD.  © 2018 - Yayasan Cahaya Anak Papua (YCAP) is a registered NGO under ministry of law and human rights Republic of Indonesia. Number AHU-0009116.AH.01.12.Year 2018. We do not currently hold deductible gift recipient status, which means your donation may not be claimed as a tax deduction. As a donor, you are enabling us to carry out various important marine protection projects in Raja Ampat. It is only thanks to voluntary donations that we are able to realize important projects aimed at protecting the natural environment together with thousands of children. We strongly belief that every child has a right to get a good level of education as well as access to health-care services. This is what Child Aid Papua strives for every single day.